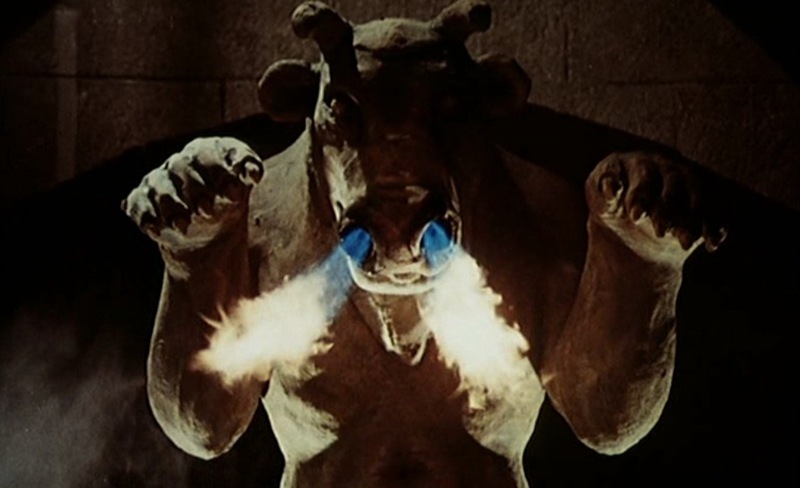 The Devil’s Men, also known as The Land of the Minotaur, is that interesting combination of low budget and big name stars. In fact, despite the film boasting some cheesy dialogue and a story that could have been a bit tighter in places, it actually turned out to be not so bad. It was hardly scary, though men who worship devils or demons or any sort of strange, mythical or imaginary creature is frightening in itself for it often leads to fanaticism and a devotion that cannot often be matched. That, if anything is the only portion of the film that can be said to be filled with dread though there is one part that is a little disturbing. 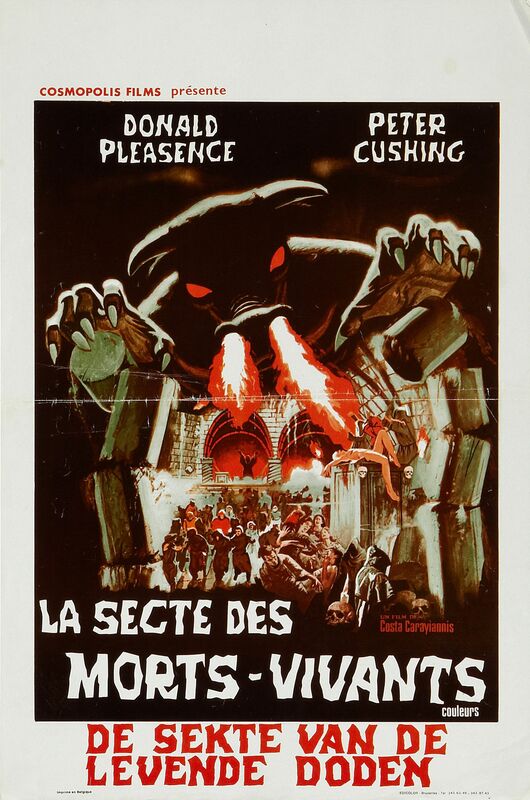 The film not only features one big name actor but two in the form of Peter Cushing and Donald Pleasence and it is fun to see the men at odds in this movie. Pleasence stars as a priest who realizes that something is amiss when various young people start to go missing in a small town that is very unassuming at first. 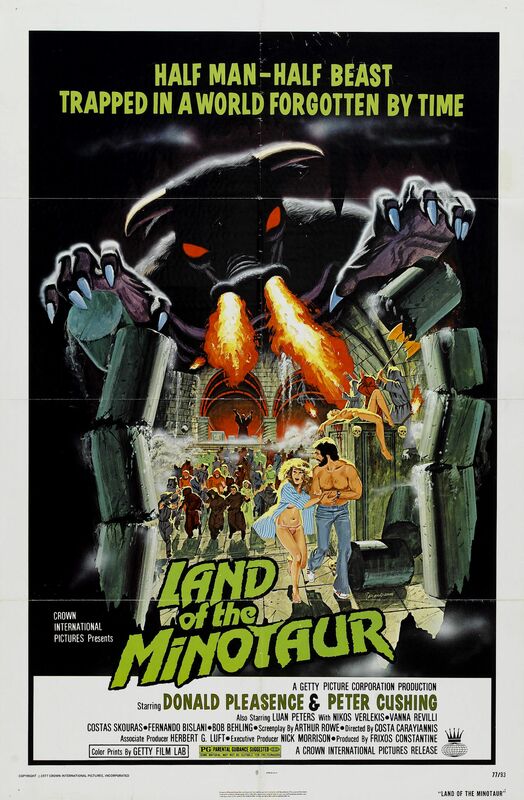 Enlisting his friend Milo who happens to be an investigator of sorts, Father Roche decides to look into the disappearances as he has an idea of what is going on and that is when he discovers that Cushing, who plays Baron Corofax is the leader of a cult dedicated to the worship of what looks to be a minotaur and that the missing youths have all been sacrificed in its name. It will be a hard task to stop the man though as the entire town is a member of said cult so Milo and Father Roche will find no allies to aid them. Again, there is little to give a viewer anything to be scared of. 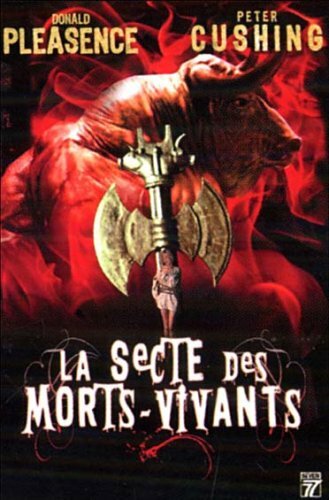 There are a couple of moments in the film where you see the innkeeper’s daughter killing the men and women used as sacrifices and that in itself is a little disturbing as she is so young. It is one thing for your average villain to do a little killing; it is a different thing to see a little girl sacrifice men and women to a stone god. The ending is also highly memorable as Cushing goes up against Pleasence and it is not so much as disturbing as it is insane. If you ever wanted to see what would happen when the power of God goes up against the power of a Minotaur, this will answer that burning desire to do so. While the movie definitely had its shortcomings, Cushing and Pleasence were the saving grace of the film. If they had been absent this would have been an entirely different picture so it was good that the makers of the film spent their money on something worthwhile even if a stronger script would have resulted in a much better end result. 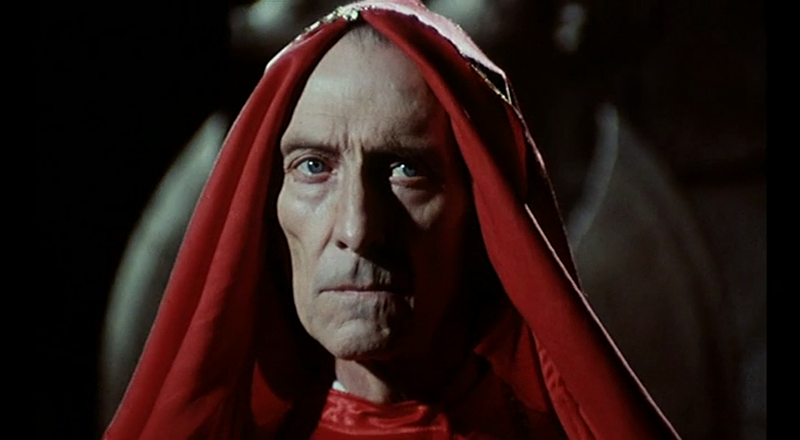 As it is though, Cushing is utterly charming and completely evil as the villain while Pleasence is always a joy to watch as the embattled force for good. 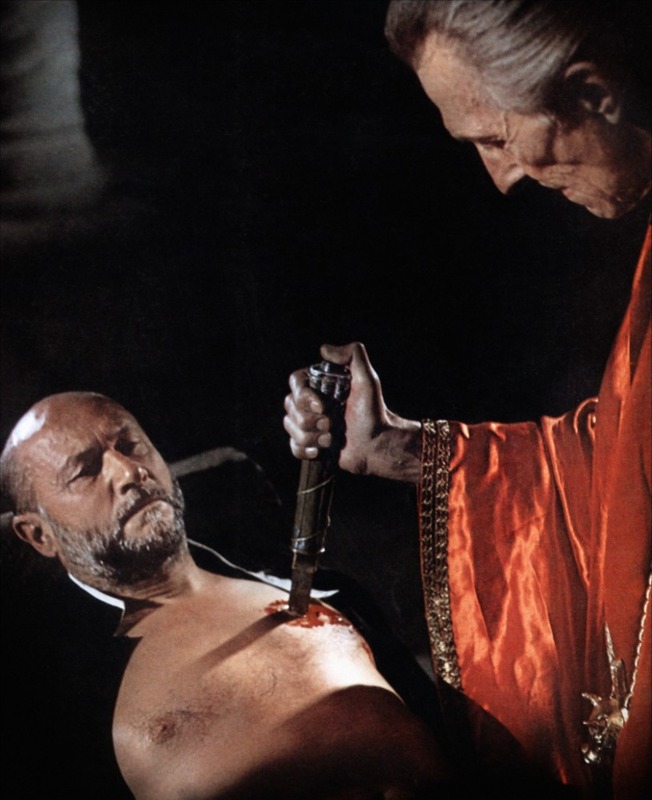 The two work perfect together and if there was ever someone you would like to see star across from Cushing other than Christopher Lee, it is Donald Pleasence. The best part of the film does not even have anything to do with it whatsoever and is actually the music that is played during the end credits. It is so utterly ridiculous and is so contradictory to the mood of the film that you cannot help but listen in rapt attention, almost forgetting everything that you just watched. 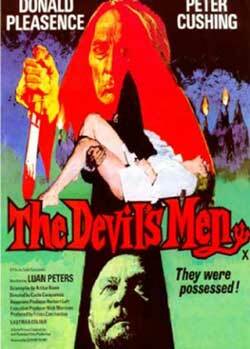 The Devil’s Men never won any awards and it is hardly a masterpiece, but it does hold some charm and is worth a view if only for curiosity’s sake. Oh my god, vintage goodness! Cool to see Donald Pleasence a few years before Halloween. His face and delivery are always a pleasure to watch. It really is. The man always made films much better for being in them. His excellent performance carried an episode of the Twilight Zone as well. It was a great episode that relied more on touching moments and a heartfelt performance than it did on the usual twist.